A simple and easy technique to protect eyes from computer screens with the help of a software, while being a dedicated computer user who spends hours in front of computer screen or facing problems like eye irritations. While using computers, we won’t be aware of the fast moving time and fail to break continuous facing of the computer screen, thus looking the bright screen for hours continuously without giving rest for your eyes. This can definitely harm your eyesight and lead to eye diseases. So you will be only aware of this only when you get feeling eye difficulties, probably hence you are reading this article. So in this article, I’m sharing details of an important software which helps in protecting eyes from a computer screen. The software is called EyeLeo. How EyeLeo-Eye Protection Software works ? 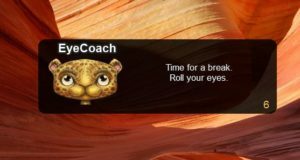 EyeLeo works by regularly reminding the user to take breaks at time intervals of 15 mins,30 mins, 1 hour etc. Also there is an EyeCoach, which provides eye exercises during this time intervals. Breaks are of two types long and short breaks, users would be reminded at every time intervals. The time intervals can be customized by the user. Exercises include blinking of eyes,rotations, focusing short and long sight objects etc. which is carried out by an adorable leopard. Bonus Tips for protecting eyes from computer screens. Another option to protect your eyes is using auto adjusting the brightness of your laptop or computer screen according to daylight. 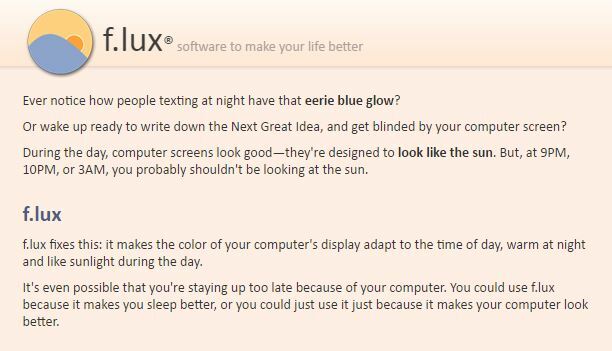 This can be done with the help of software like F.lux. 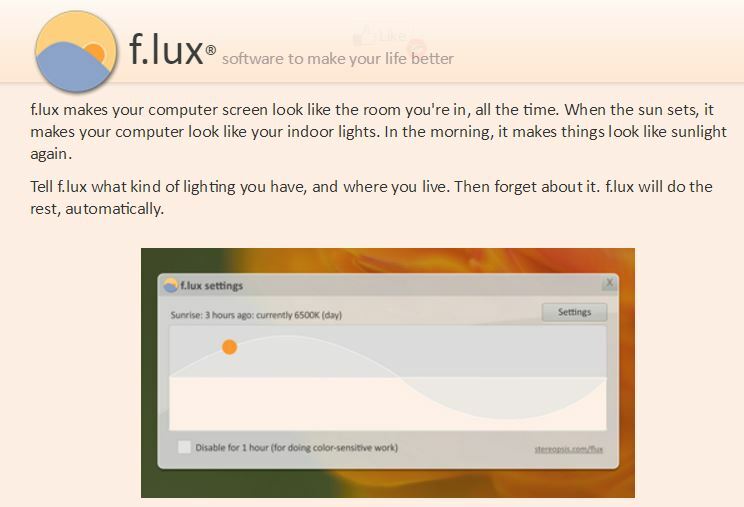 F.lux is a free software available for Windows, Linux , mac, iPhone,Android. It is a simple free software which easy to configure with setting your country timezone, using which the software works. This software automatically calculates the daylight according to your timezone and simultaneously adjust the brightness. Thus automatically switches the computer screen brightness according to day,night etc. Hence helps in getting rid of eye irritation caused due to the brightness of your computer screens. Here is an addition tip for protecting your eyes from computer screens. I got this tip from Amit Agarwal’s interview given to Lifehacker Blog. In this interview, Amit answered the question asked about the best advice he has received ever. His answer was about the tip that his eye physician had given for protecting eyes from the computer screen. My eye physician once suggested the 20-20-20 rule for people who spend too much at the computer and that really works. It basically says that you should look at an object 20 feet away for 20 seconds after every 20 minutes. EyeLeo is must have software on your computer or laptops for protecting your eyesight and living as a healthy computer user. You can adjust time intervals according to your wish. 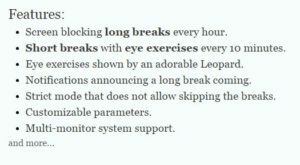 Long breaks not only helps to protect your eyes but also your body. Search Tags: Eye protection Softwares for windows 10 PC, laptop eye protection ,tools for protecting eye vision from computers, eyesight improvements tips for computer users. Saᴠed ɑs a faνorite, I like ʏour web site! You can subscribe newsletter for getting latest articles. alternatives and providing details about the company and its products to prospective Indian customers.